Mention the word Roswell and images of UFOs and aliens come to mind before anything else. Of course, the New Mexico City became of high interest after a “flying disc” crashed at a ranch near the town in 1947. After much interest, the U.S. military stated it was a conventional weather balloon and interest waned in the small region. Then, in 1990, the U.S. military published a pair of reports saying it was a nuclear test surveillance balloon that had crashed. 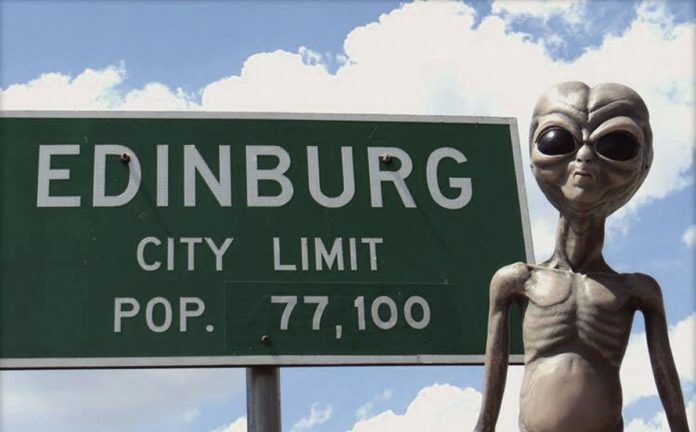 Roswell has taken advantage of the incident, which many conspiracy theorists still insist was a UFO sighting, and tourists flock to the alien-oriented town all year, but primarily to attend its annual UFO festival. Despite all that, according to listverse.com, that festival ranks No. 10 among the list of best UFO conferences to attend. The festival will begin at 6 p.m. Friday at 415 W. University Drive. Admission is free. The festival will include vendors and crafts and, of course, UFO attraction including a tent where visitors can get their tinfoil hats, a telescope area, a UFO moon jump, autopsy station, planetarium and a laser show inside the Edinburg Auditorium. Magdiel Castle, cultural arts manager at the Sekula Memorial Library, said that the conference has already set record numbers in ticket sales. He said that’s due to the expertise of speakers coming in this year, including Travis Walton, who is part of what many call the most significant UFO incidents in history — his own abduction by aliens. Walton was a 21-year-old logger from Snowflake, Arizona, who disappeared for five days while working with his logging team. They were the last to see him in the forest. They were suspects in his disappearance until he returned five days later. His movie “Travis,” recently released, combines news and archived interviews with the logging crew, police and the polygrapher, among others. “We bring in speakers from all over and this has attracted more and more UFO fans and followers than ever,” Castle said. Other planned speakers include Nick Pope, who worked for the British Government’s Ministry of Defense and, from 1991-94 was tasked with investigating reports of UFO sightings to determine their defense significance; John Greenewald, who began investigating the CIA, FBI, Pentagon, NSA and other government organizations in 1996 at the age of 15 and now holds the “black vault,” a collection of more than 1.5 million pages of material on topics related to UFOs, the JFK assassination, top secret aircraft and more, using the Freedom Of Information Act to gain access to these publications and Stephen Bassett, the first extraterrestrial life, disclosure lobbyist in the United States. For more information on the “Out Of This World UFO Festival and Conference, visit edinburgarts.com or call Castle at the library at (956) 383-6246.